As a designer one of the things I obsess over is typography and type design. 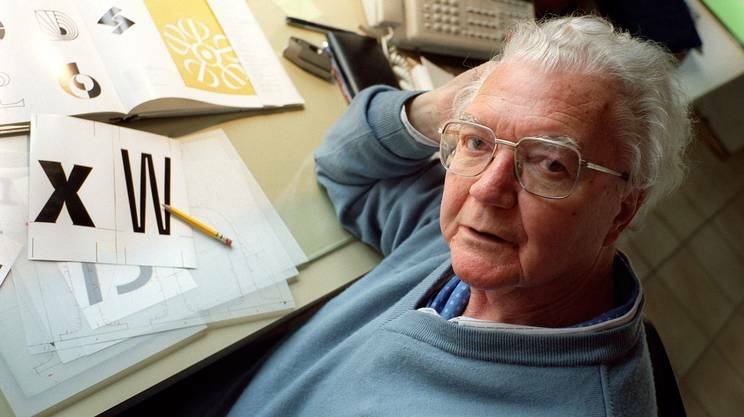 My all-time favorite type designer was Adrian Frutiger, dead this past week at 87. Frutiger designed more than 50 fonts and was the man behind the OCR-B, and the standard alphabet for character recognition. My go-to font is Univers — it was the most acclaimed typeface he designed. Univers was one of the first breakthroughs of the new system of phototypesetting that replaced the method of casting a font in lead. From this time on, technological progress for typography was rapid. One of the things that Frutiger said is something that I truly believe in.